One of my summer goals is to get healthy and one of my favorite ways to do this is to run. I love to run because it’s relatively cheap, can be done anywhere, and is great for you! My favorite way to run is to run with a friend and to train for a race. Having both keeps me motivated to stay consistent. 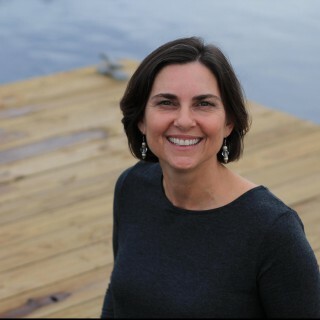 If you’ve been meaning to get healthy, let me encourage you to give running (or walking) a try! Here are my tips to get started. Sounds crazy, I know, but you can start running by signing up for a race. I even have a recommendation for you! Whether you want to train for a 5K, a 12K (which is roughly a quarter of a marathon), or a half marathon (13.1 miles or 21K) the Zooma Women’s Race Series has something for everyone! I’ll be running the half in Amelia Island, FL on October 21. I have counted, and you have 15 weeks of training. That is perfect for half marathon training! If you are just getting back into running then you can finish a 6 week C25K program and then still have 9 weeks of training for a 5K or 12K race. Get started now!! Whatcha waiting for?? Go sign up!! 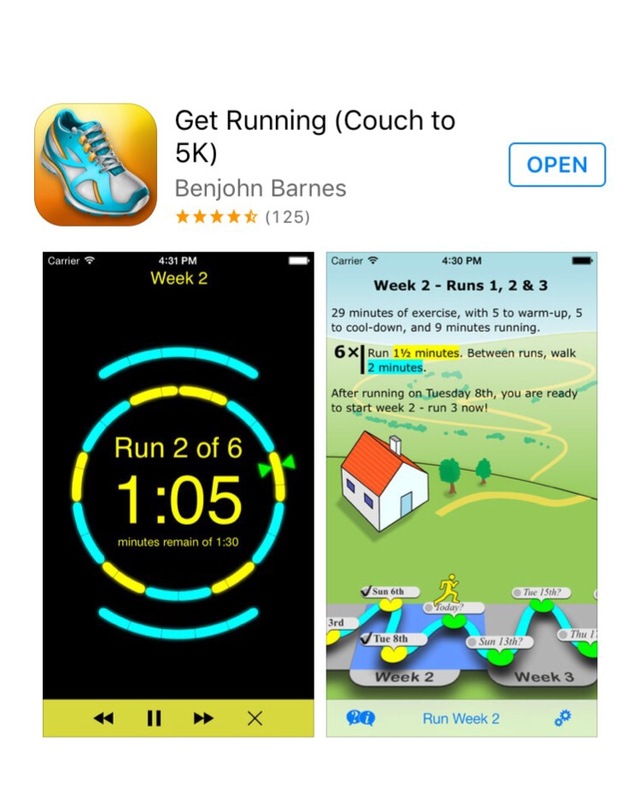 If you are brand new to running then I would recommend a Couch to 5K plan. The one I used to get back into running is this one: If you have a good running base (can run 3 miles on a regular basis) then I would recommend upping your game to a longer distance. I like Hal Higdon training programs. Or if you prefer to run/walk, then Jeff Galloway has training programs. If you haven’t purchased new running shoes in a while then go ahead and get some now. You are going to be putting a lot of miles on your shoes in the next few weeks. Don’t go out and spend $200 on running shoes but do get a pair that fits your style of running. You may pronate or run heavy so you want to get the shoe that’s right for you. If you are not sure you can go to a running store near you and get fitted for running shoes but be advised that they will upsell you. Just take note of what they are saying to you and see what shoes they recommend. You could also ask for a cheaper version of their recommendation. I run in Saucony Cohesion. It’s a pretty basic, inexpensive shoe. I’m grateful I don’t have any major issues that require me to purchase a more sophisticated (i.e. expensive) shoe. I am lucky to be able to find mine locally at Famous Footwear and I tend to buy two pair at a time when they run their BOGO 1/2 special so I have a backup when my first pair goes. Consequently I don’t run in regular Nike running shorts. At least not without a pair of sliders underneath because: chaffage. My preference is capri-length tights or compression shorts when it’s really hot. Your body needs fuel in order to work well. When you start going for longer runs (say over 6 miles), you will want some fuel during your runs. I really like Hammer Gels, or Honey Stinger waffles and gummies. Also be sure to hydrate! Keep a bottle of water handy, or scope out some water fountains. On really long runs I run with a handheld water bottle. As you know it’s crazy hot down here in Florida so training for a long fall race means that I need to be strategic. Here are a few more things I do to make summer training more bearable. I hope you are inspired to train for a race this summer! 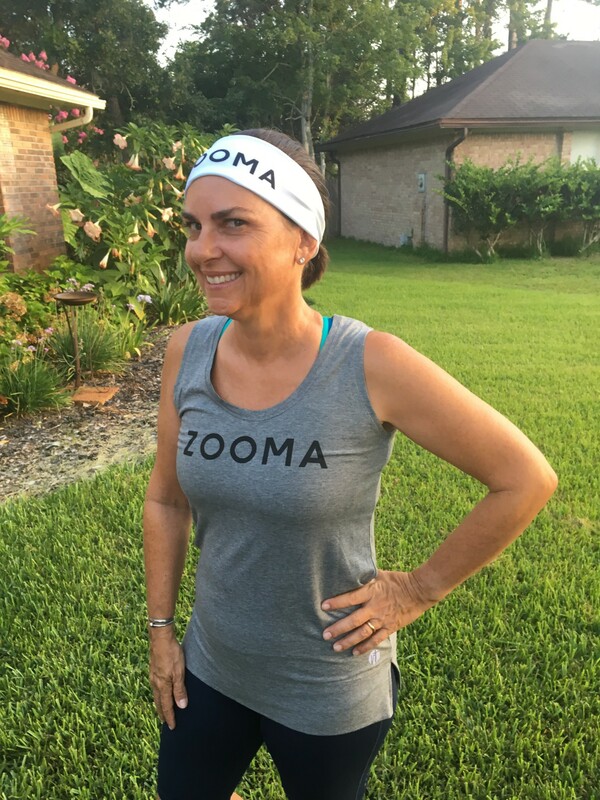 You can pin this image to find my tips again and I really hope to see you at the Zooma Women’s Race Series in Amelia Island come October! If you do think you’ll join me, won’t you tell me in the comments? And tell me what race you’re going to do! You’re so gorgeous! I’m always a little jealous of your and Lisa’s running together, but I’m super proud of both of you. I truly admire your dedication! Another great post, Sheila! Dang girl! You’re making me blush! So whaddaya say? Wanna join us?! You can walk the race! The 12k?! LOL, at people running in the middle day in the heat, I think the same thing! All good points, and yes you need to sign up for a race, will definitely motivate to get it done! Seriously! I think some people have a death wish!! HOW?!? YOU are looking sensational! Running in shorter distances has been my favorite form of exercise. And I love swimming, too. Have never seen little socks like the ones you shared. Going to need some of those. Great post.